According to the avant-garde artist and theorist Wolfgang Paalen (Austrian, 1905-1959), “all abstract art is spiritual”. Influenced by the father of modern anthropology, Franz Boas, Paalen’s critical art theory and practice was largely rooted in a cultural pluralism, repudiating racial stereotypes in favor of a better understanding of human diversity. Specifically, Paalen’s art speaks to the cohesion of indigenous cultures, myths, environments, and rituals from the Cycladic Islands to Mexico and the Pacific Northwest. In the mid to late 40s, Paalen’s ethnographic influences venture towards a mystical, cosmic sensibility. He repeatedly stated, “Art, science and religion are inseparable”. This exhibition includes very personal, rarely exhibited paintings and sculpture by Paalen that span two decades of his career. 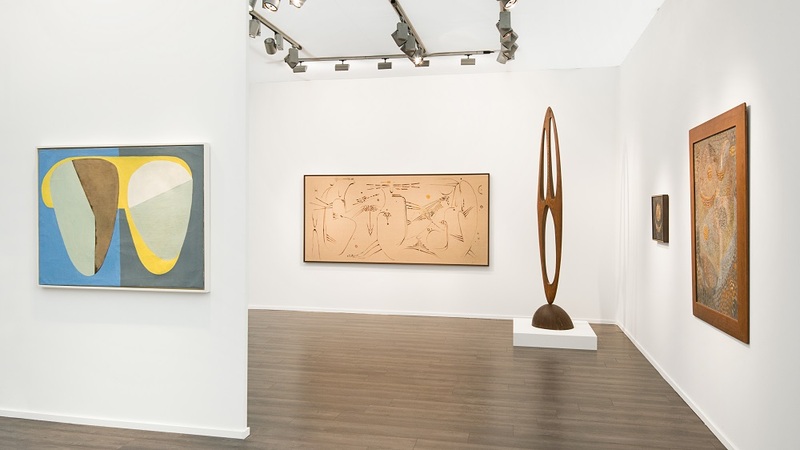 The impeccable provenance of the selected works—pieces that all once belonged to the artist’s former wife, Luchita Mullican, or the British painter, Gordon Onslow Ford—adds to the curatorial allure. Paalen, Onslow Ford, and Lee Mullican formed the artist circle known as the Dynaton. 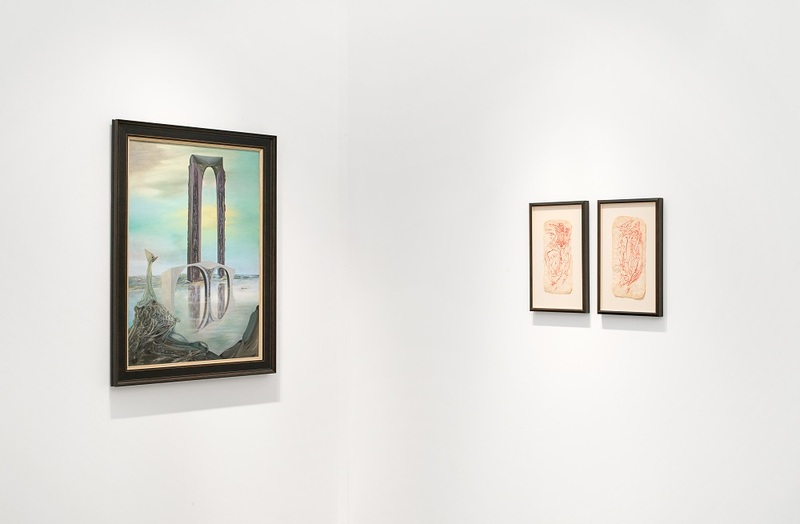 Booth highlights include “Cadran lunaire” (1935), a mask shaped painting, first exhibited at the International Exhibition of Surrealism in London in 1936, and “Untitled” (1940), a rare example of a Paalen “fumage”. In the 40s and early 50s, Paalen employed a rhythmic, mosaic orderliness, reflecting hues from the cultures that inspired him. In “Le grain de sable” (1947) and “Crystals of the Mind” (1950), parabolic shaped marks overlay or break up precise patterns and appear as futuristic, aboriginal boomerangs.